There is something undeniably romantic about a window seat. But there are even more practical uses for it like sitting and pondering life, reading, eating, and even napping. It can be narrow and improvised or you can plan it from start to finish during your next remodeling. 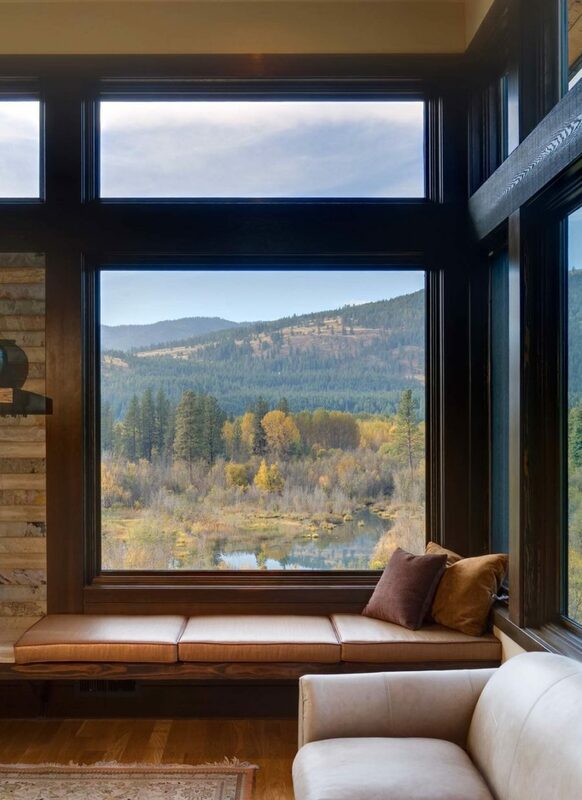 These window seat designs will fit any window type, so be sure to scroll all the way down to find what you need. 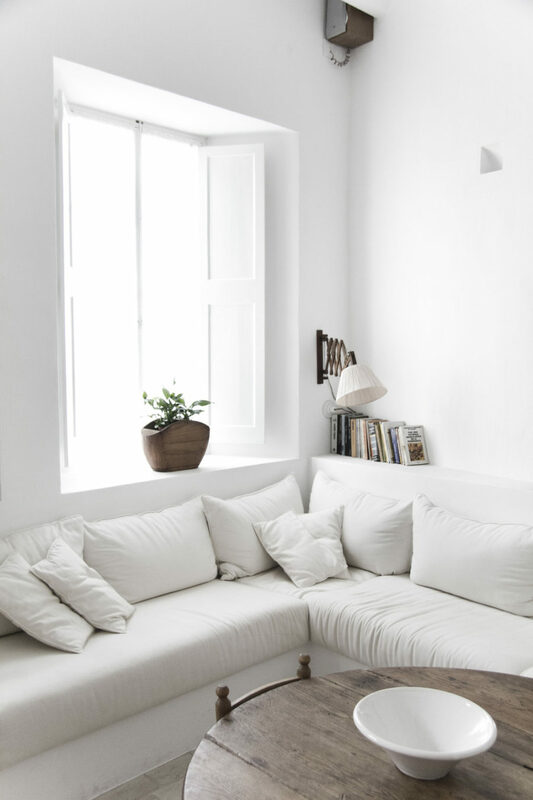 A classic windowsill may become a small seating area in a living room or bedroom. All you have to do is make sure that it’s comfy enough. And even that can be solved with a cushion, a few throw pillows, or a simple throw. 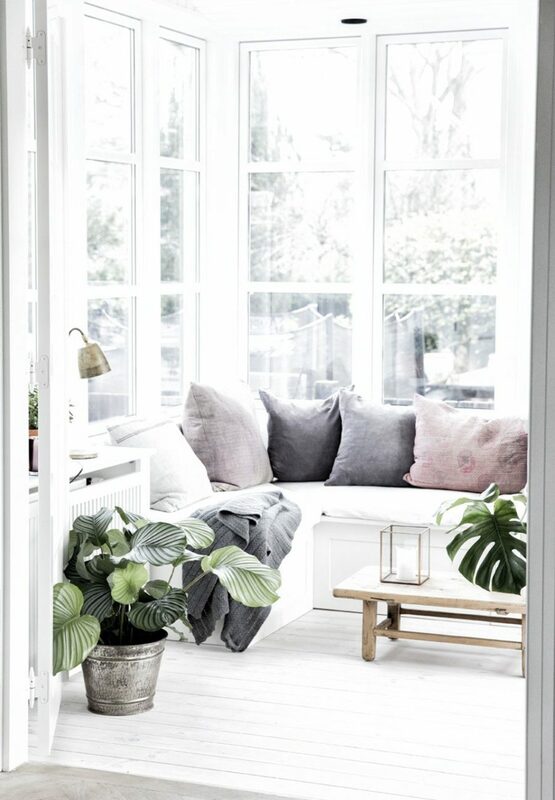 A classic windowsill does not always make a good seat, because of its usually narrow size. To solve this problem, you could build a wide wooden window frame, but it would require some investment, at least in time. 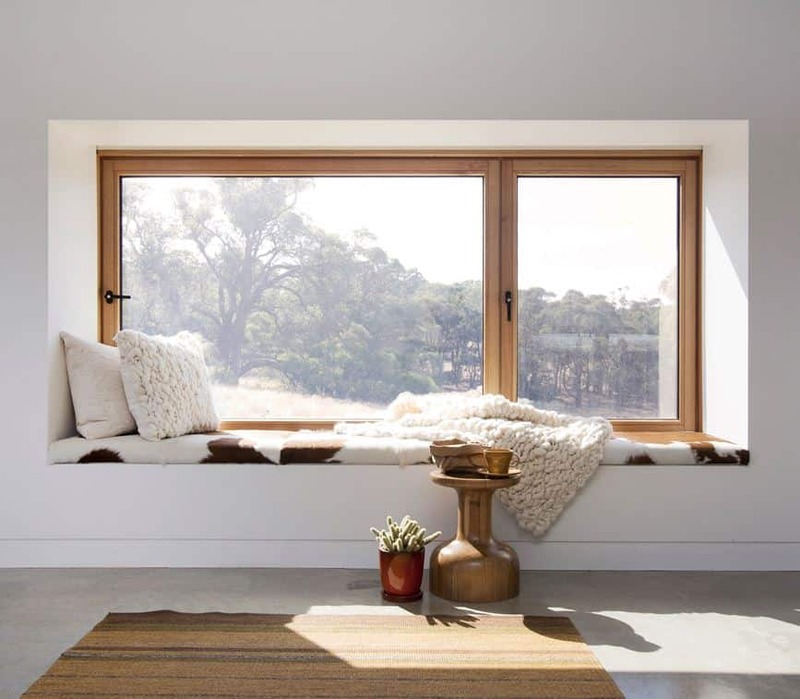 That’s why modern window seat designs are specifically planned and constructed to provide enough space for comfortable sitting and lounging. 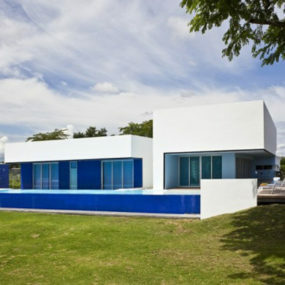 Architects also experiment with window sizes and structures. Some seats are wide and long enough to stretch out your legs and lie down whenever you feel the need for an energizing nap. 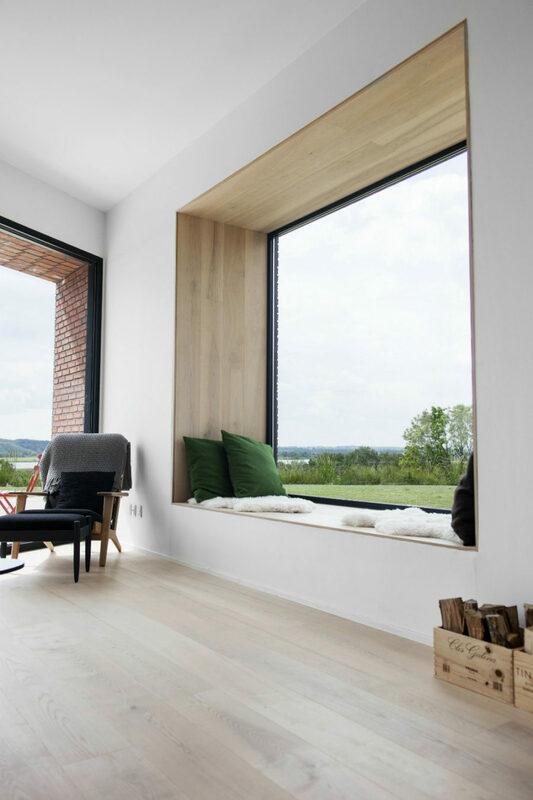 Window seats can be made of any material from traditional wood to contemporary concrete. 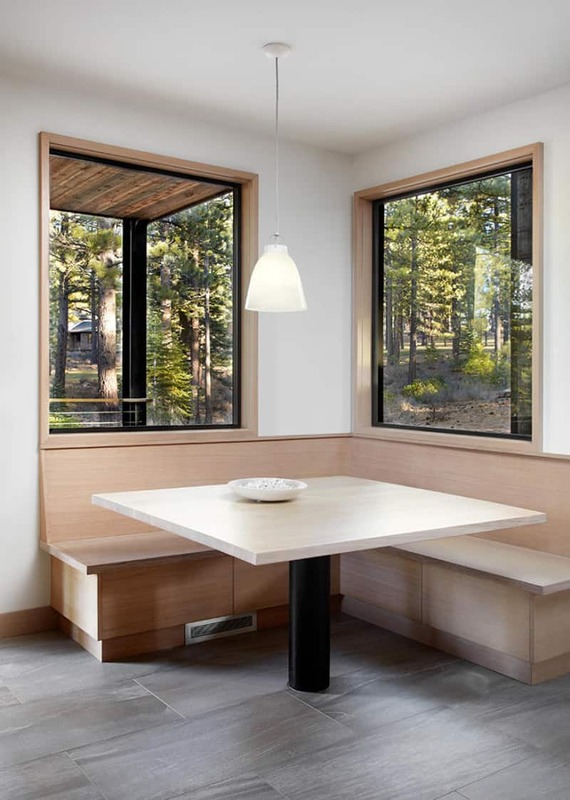 Wide wooden frames are very popular, and give window seats a contemporary look. 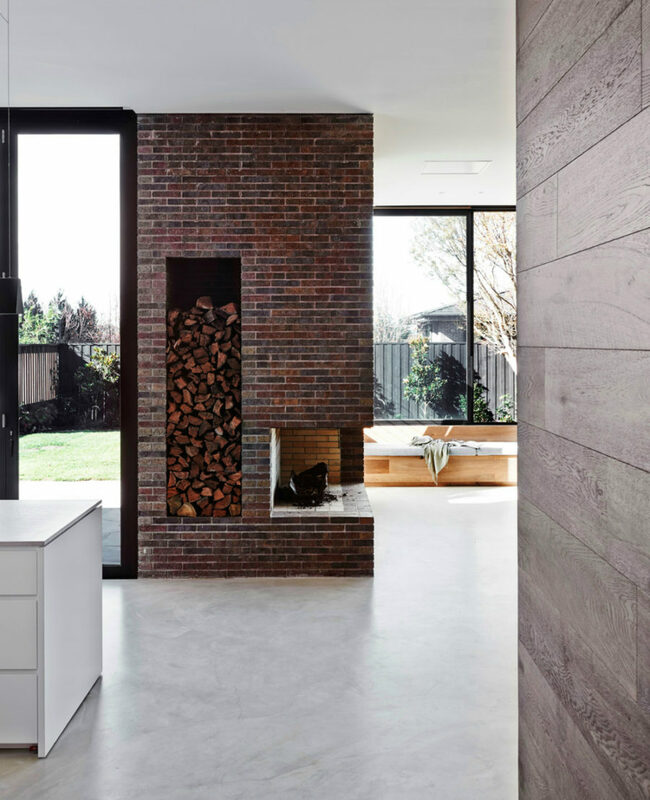 Stone veneers, on the other hand, offer a rustic touch. 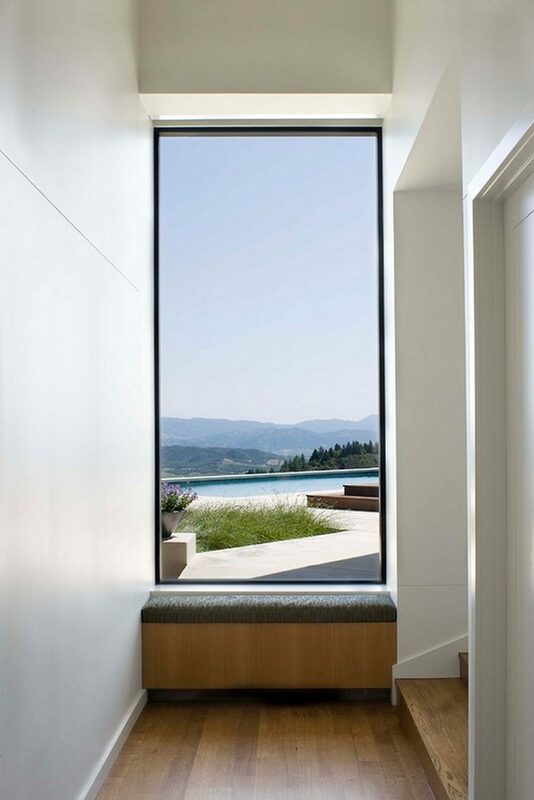 Modern frameless windows aren’t a deterrent to a window seat, as it may come as a fitting albeit separate furnishing. Such independent furnishings aren’t difficult to find. 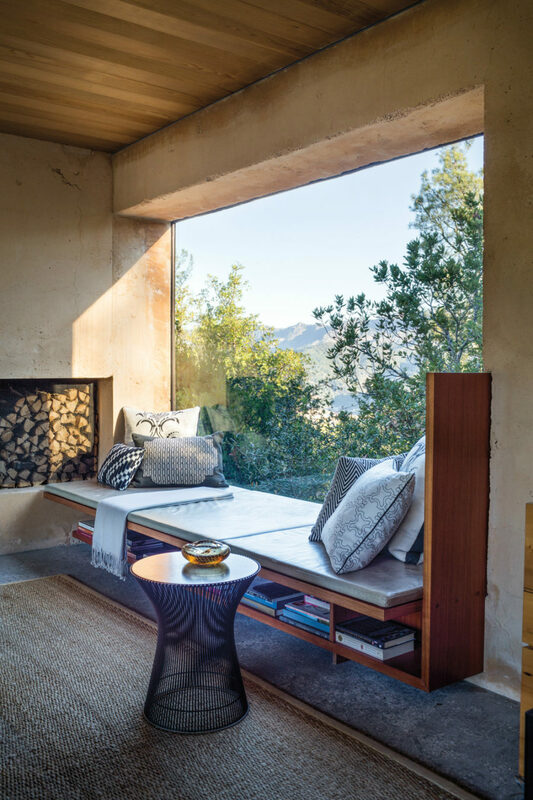 Low daybeds, benches, and even palettes can make for great window seats. 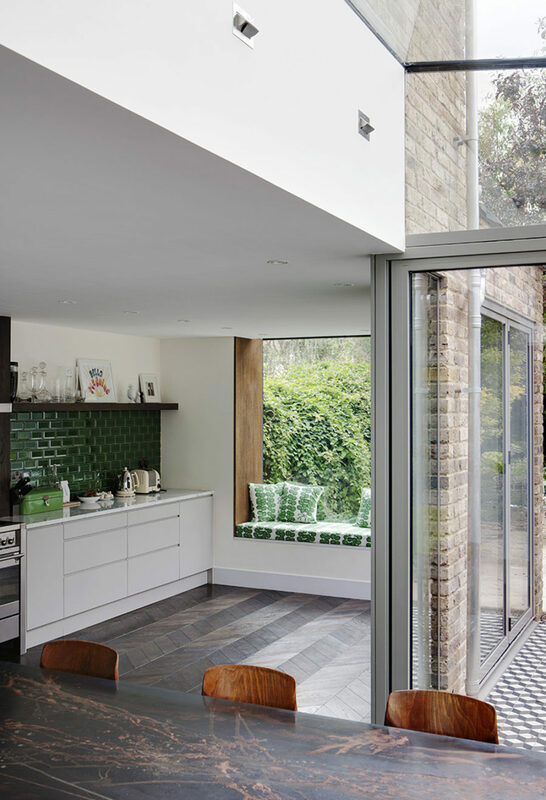 These are also good alternatives to the windows without sills, which can often be seen in contemporary homes. 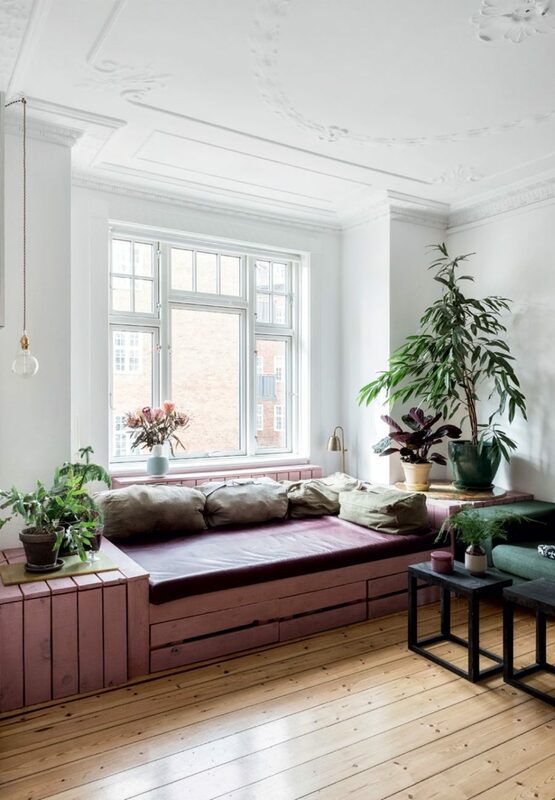 If your window is wall-sized and goes all the way down to the floor, you can simply pile up the cushions beside it to use as your window seat. 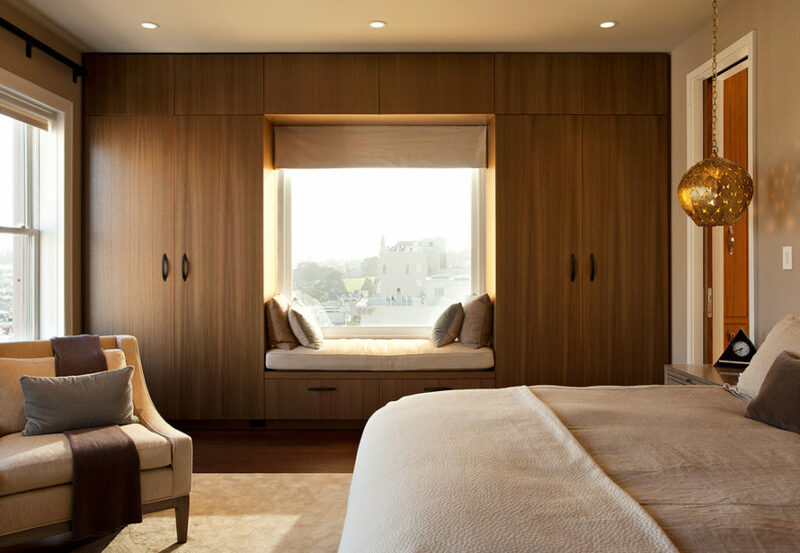 Poufs and lounge chairs may also do, but they won’t have that same look as the built-in window seats. 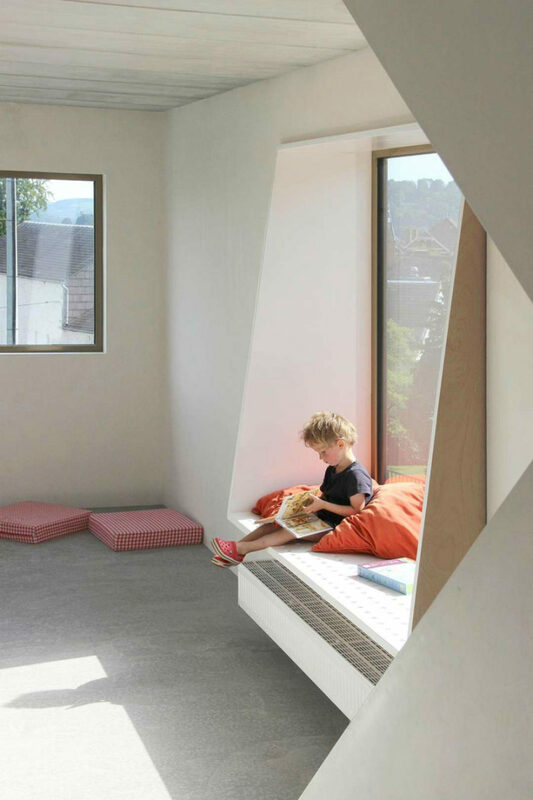 Storage-friendly window seats just make sense. If you have enough space for them, use them to store seasonal clothes, various gear, or bedding. Open storage seats are a perfect place for books and magazines or display storage. 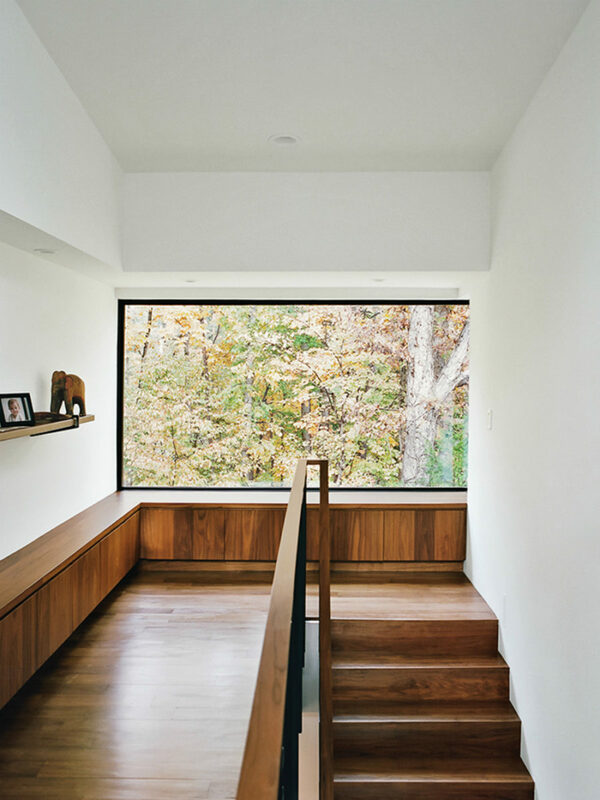 Window seat storage can take many shapes and forms. Some repurpose Ikea cabinets as window benches, taking advantage of spare space inside them. 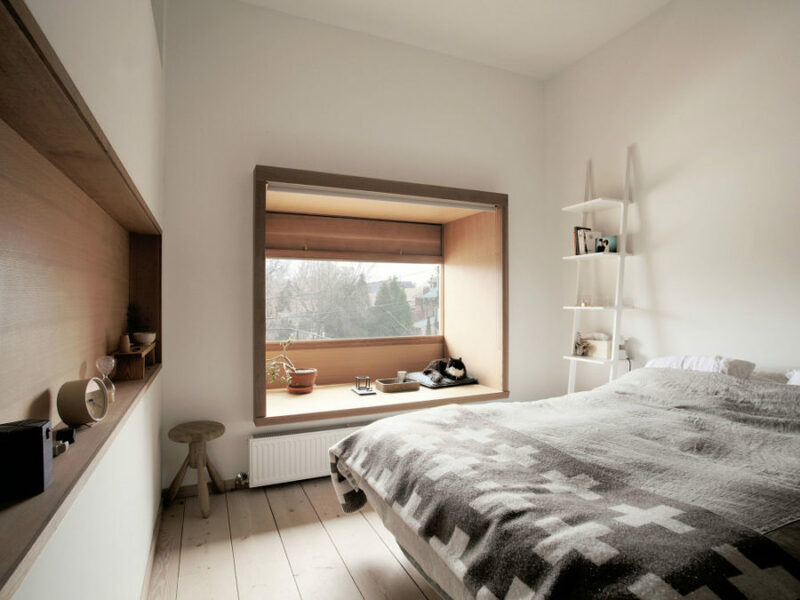 Others build entire storage walls with incidental window seats in them. 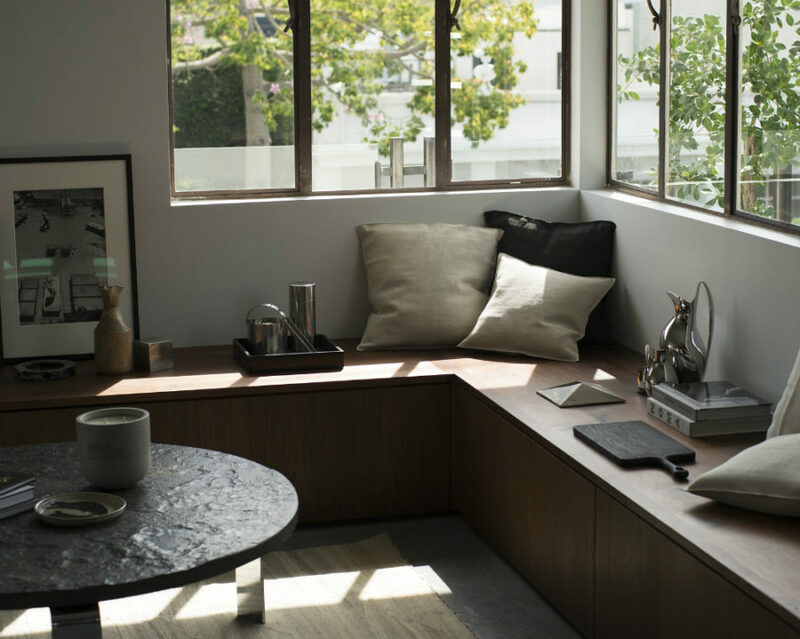 Regardless of the form that you decide to choose, storage accessories like baskets and boxes can further help you keep clutter contained and the window seat neat. 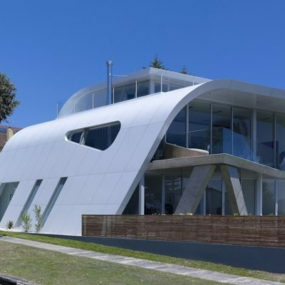 Oddly-shaped windows have a tendency to look cool, but are they practical? Well, they can certainly be so. 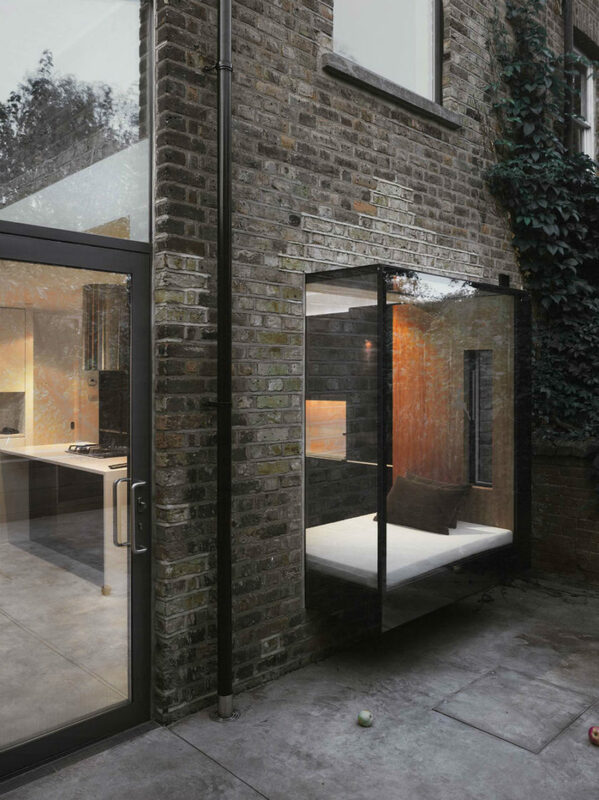 Nothing really stops you and your architect from creating some extraordinary window that you can sit on. 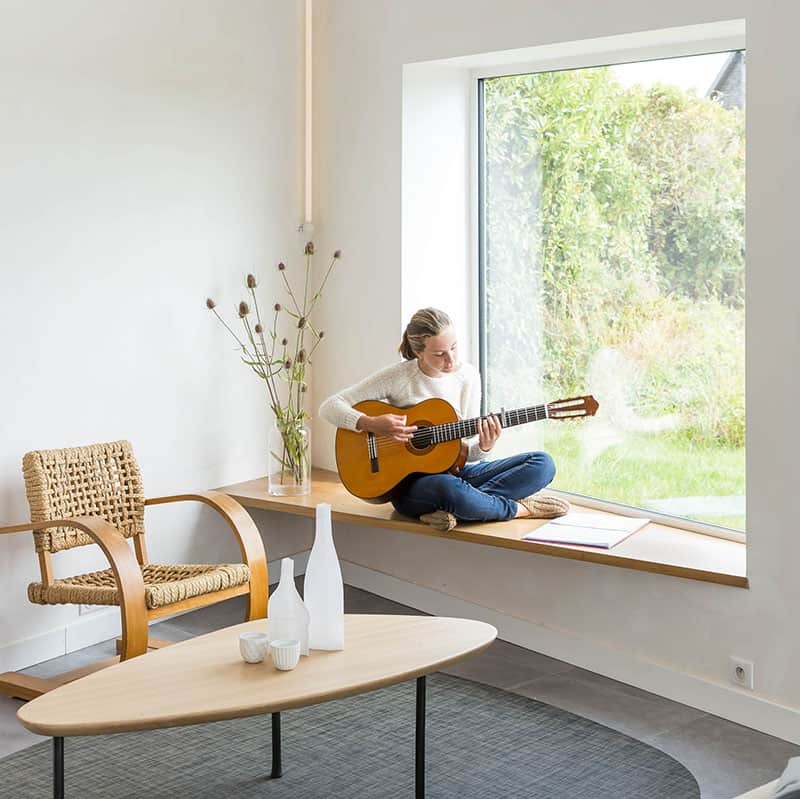 Protruding rounded windows are especially suitable for a window seat, as you can see more and enjoy more daylight in the room. 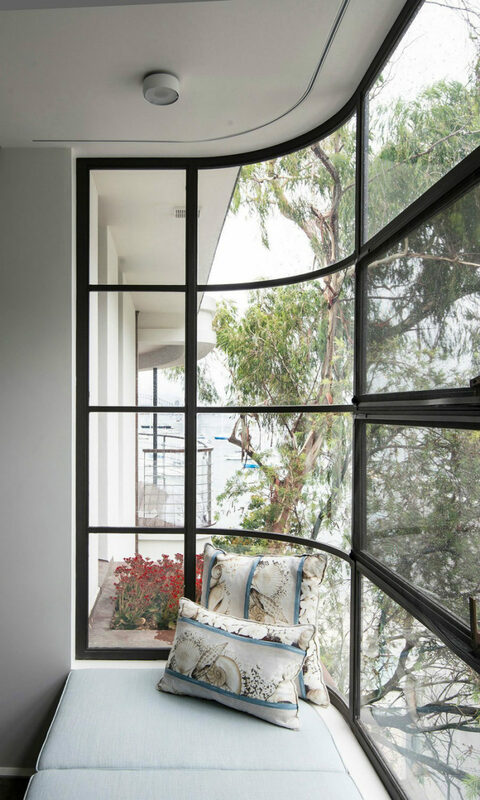 Luigi Rosselli Architects took advantage of rounded architecture in one of their projects to create the most exciting window seat. 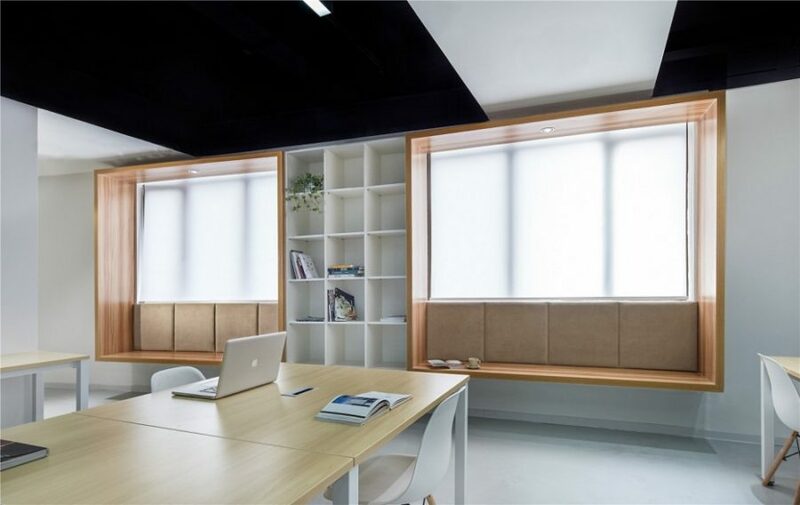 Wide window seats are for those who like to spend a lot of time reading, lounging, or working in the natural light, which is certainly useful for telecommuters. The wider your window, the bigger its seat will be. And the bigger the seat, the more you can do with it. 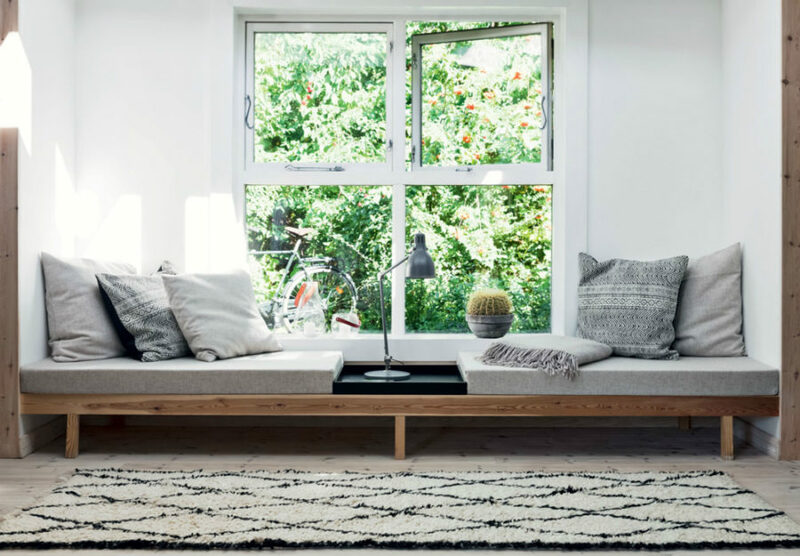 In a living room, it may become your daybed, which you can use in place of a traditional sofa. 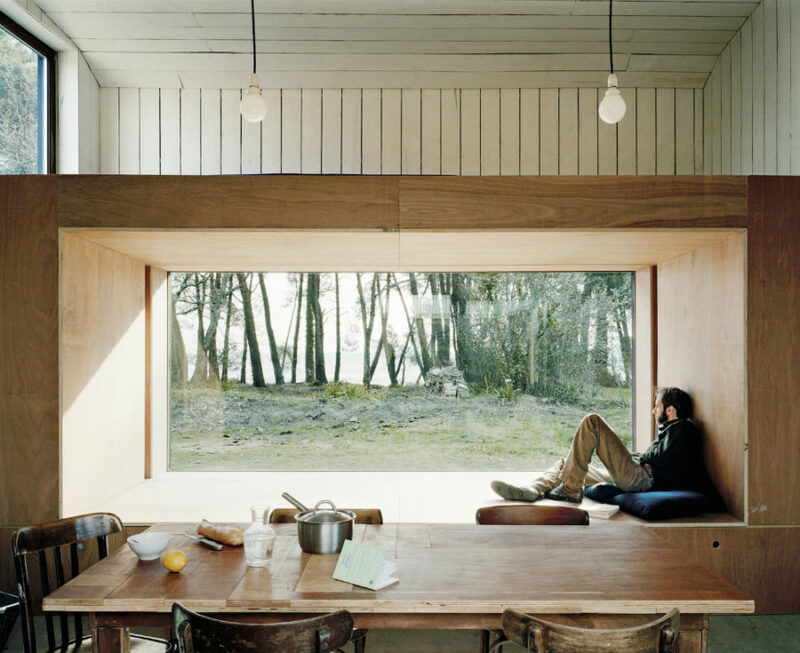 In the cabin by Raum Architects the big wide wooden window frame became an avenue for day lounging and nature observing. 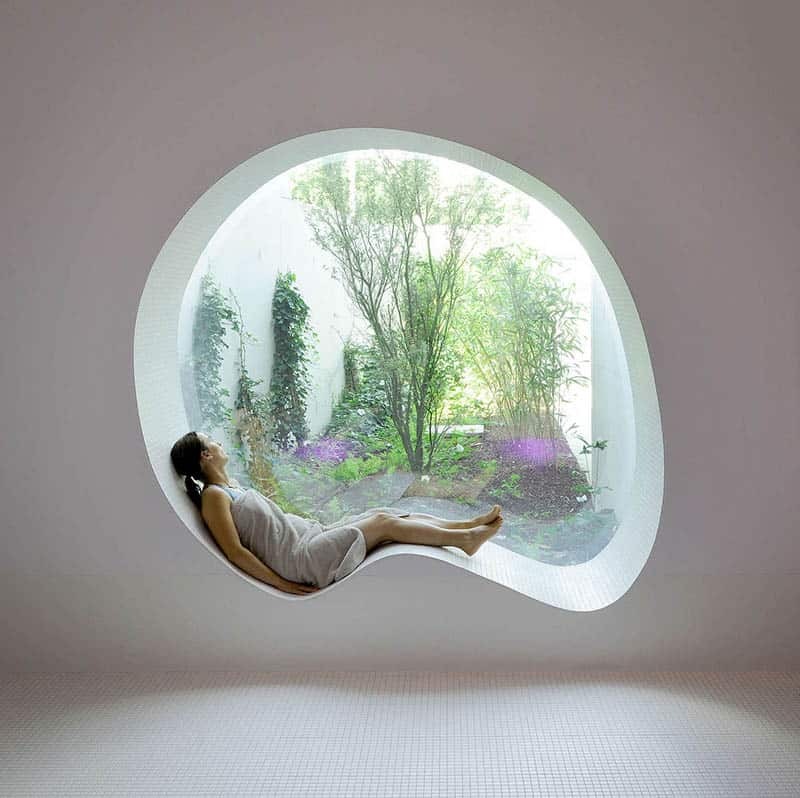 Speaking of observing nature, if you’re lucky to have a great view outside your window, it’d be a crime not to outfit it with a seat. 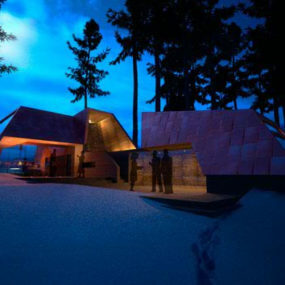 Just take a look at some of these designs. 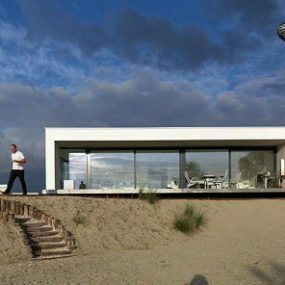 The architects purposefully dropped them lower to take advantage of the views beyond. 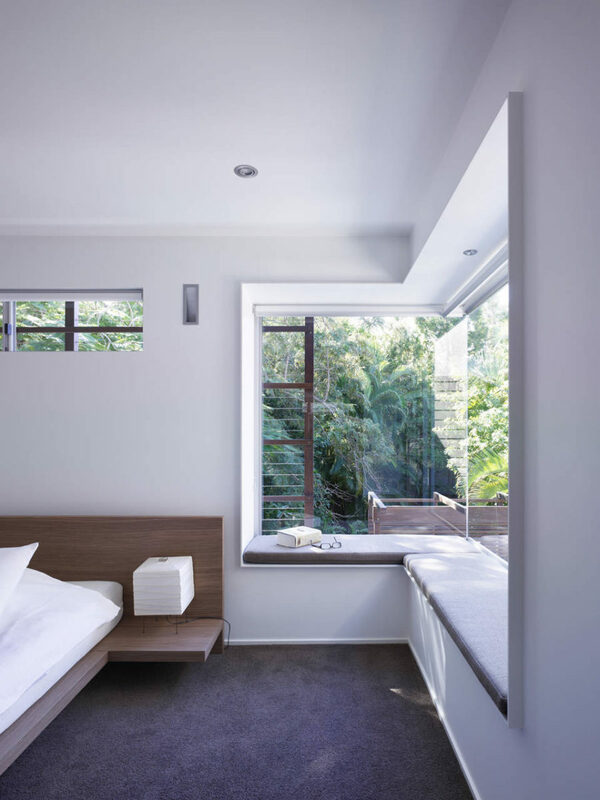 Bark Design Architects went further with a corner window and a matching seat that opens the contemporary bedroom up to the untamed green jungle. 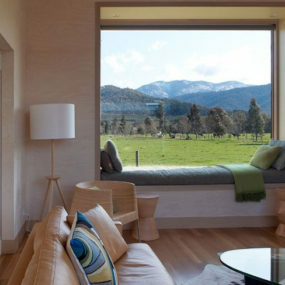 By the way, the corner windows are getting more popular, especially in private homes located in beautiful natural sites. 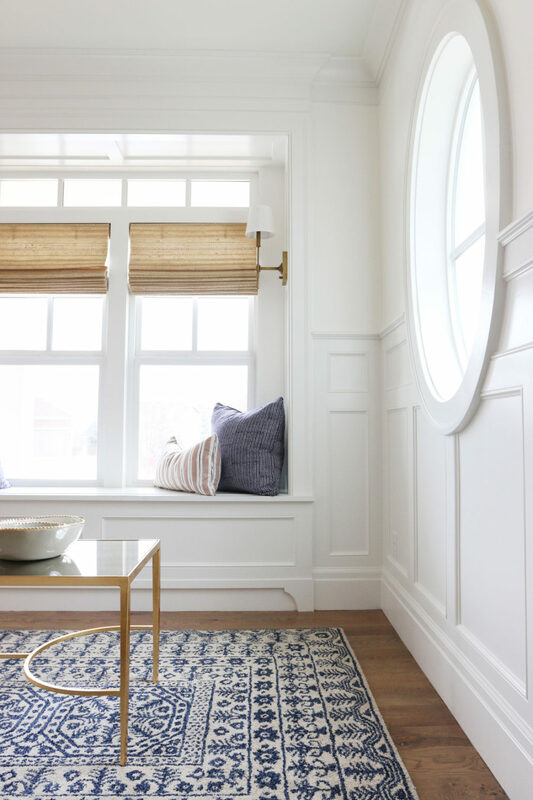 A window seat doesn’t have to stand separately from the rest of your interior. 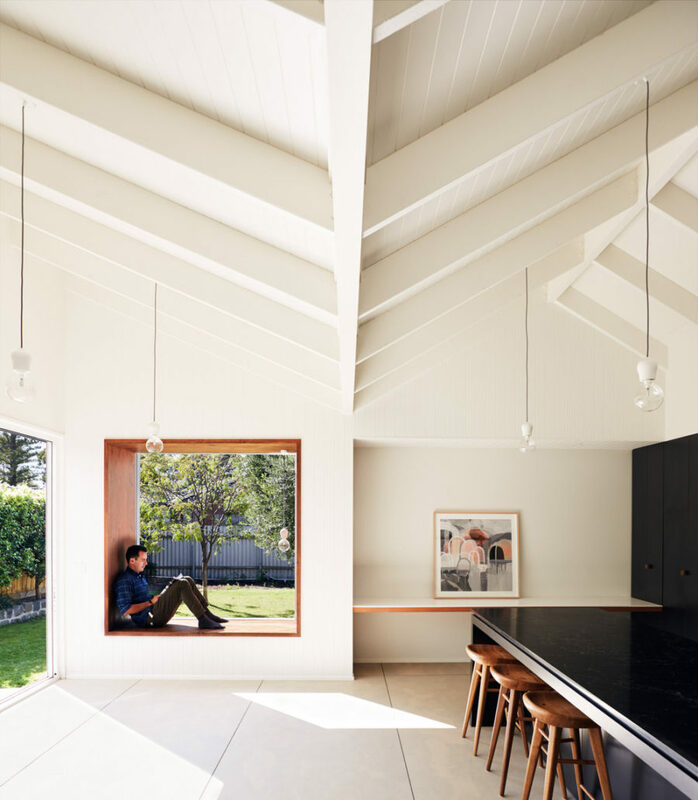 In smaller homes, it makes sense to integrate it with the rest of the area to save space. A popular idea is to use it as dining table seat or bench. Or you could set up a smaller breakfast nook using it. 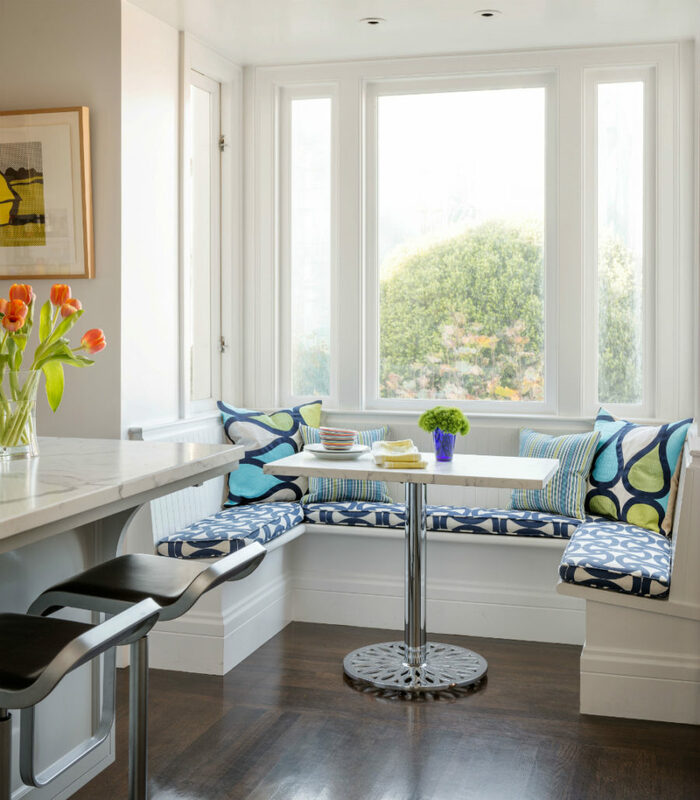 A window kitchen corner is a perfect place to have breakfast, and the built-in seats look right at home in place of traditional windowsills. 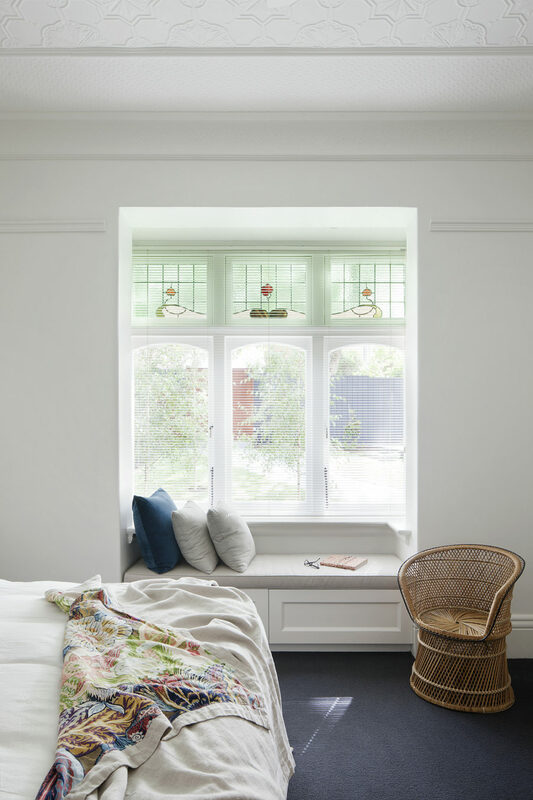 Bay windows make natural breakfast nooks, so take advantage of them, if you want to meet the new day with a hearty breakfast with a side of sunrays. You don’t need a kitchen corner to take advantage of that kitchen window, though. 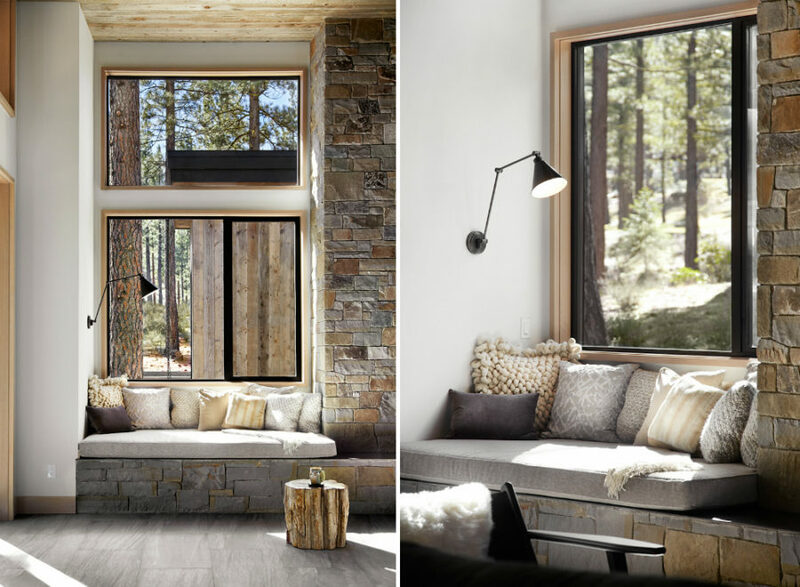 A modern window seat might become an area of its own, where to sit and wait for that dinner to get ready or have your morning cup of joe. 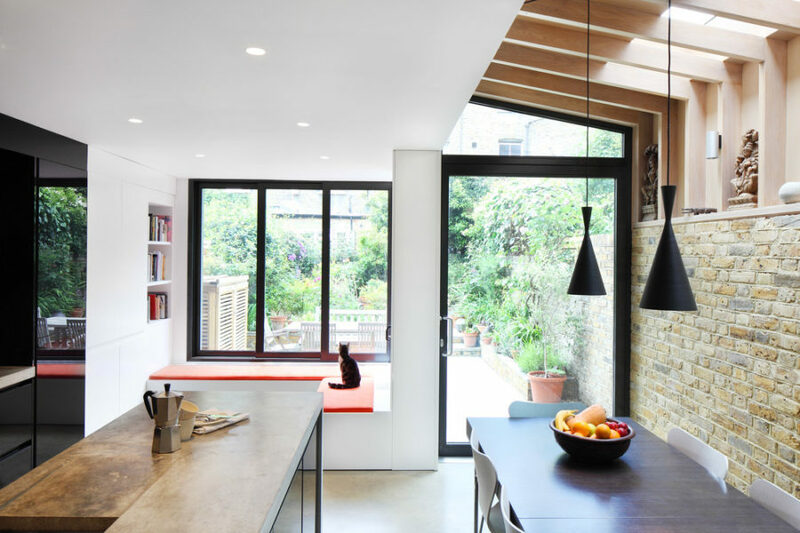 In contemporary architecture kitchen enjoys plenty of daylight from the wide-sized windows. 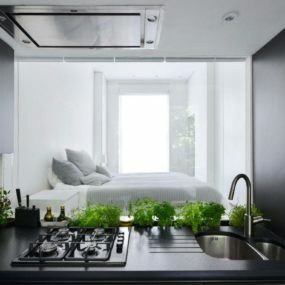 So take advantage of them, and create a dreamy kitchen area, rendering the functional glossy den more inviting. 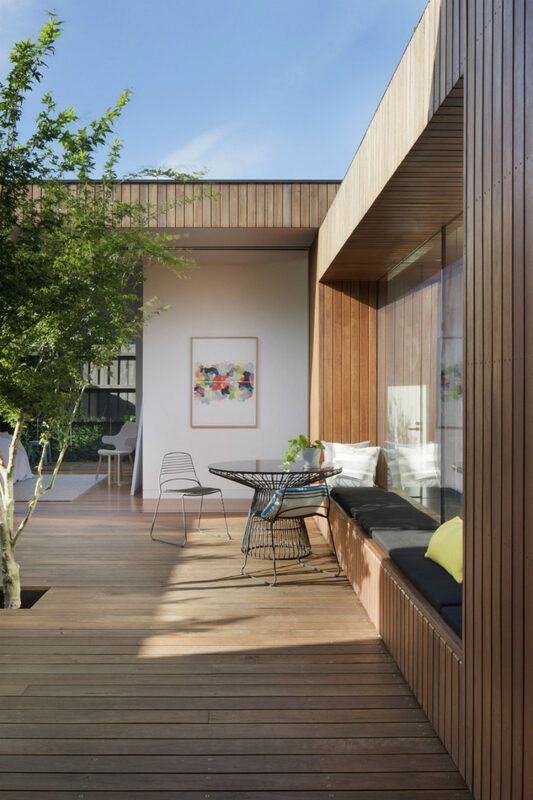 InArch did a great job hiding that heating unit with wooden slats that match with the window frames, and create a generous seat where two can have a conversation over a simple snack. But window seats don’t have to always be sturdy and hard. 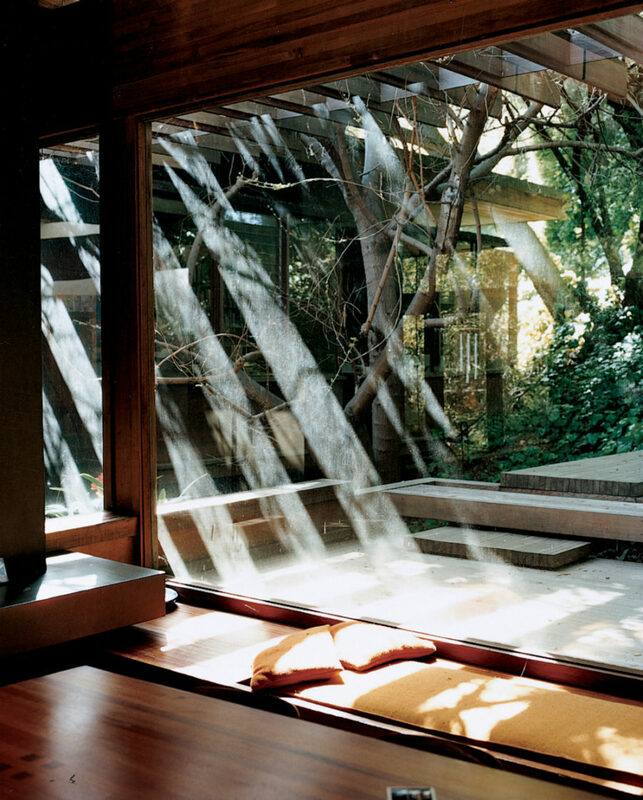 Built-in seats and sofas can, too, find their place near the world-revealing panes. 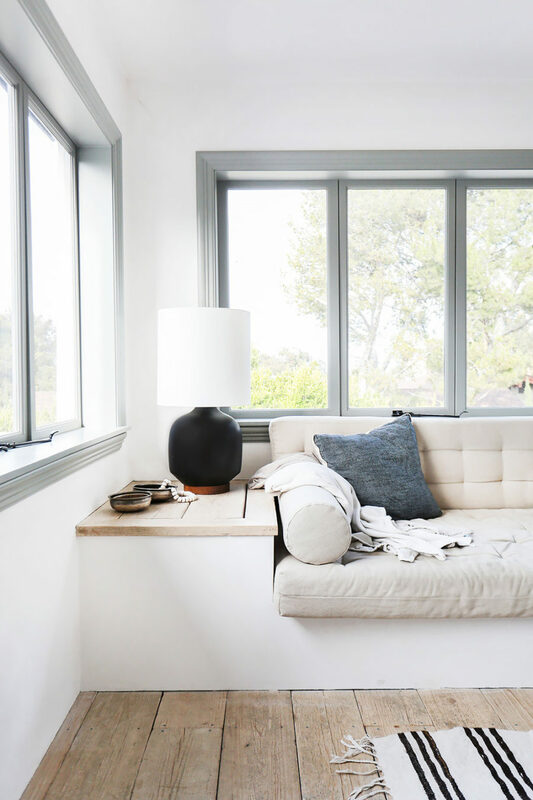 Again, this is a great opportunity to step away from a classic living room sofa, and create a more comfortable window seat. Even if your window seat is a wooden bench, padded foam cushions are in order, if you want to be able to enjoy your throne for prolonged periods of time. 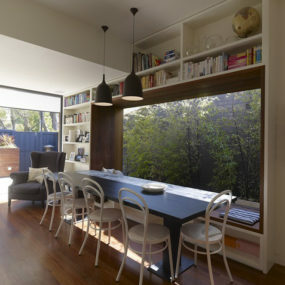 Windows in transition spaces are often empty and function-less. 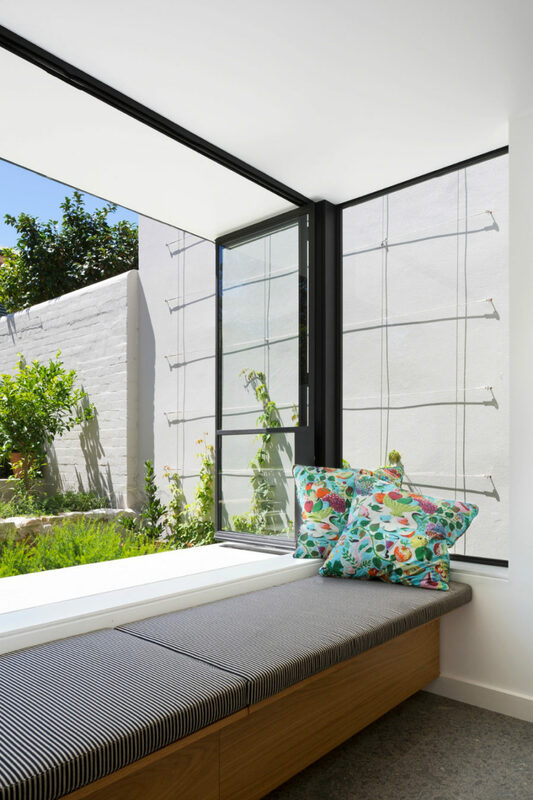 A window seat can make the area more welcoming and thus habitable. 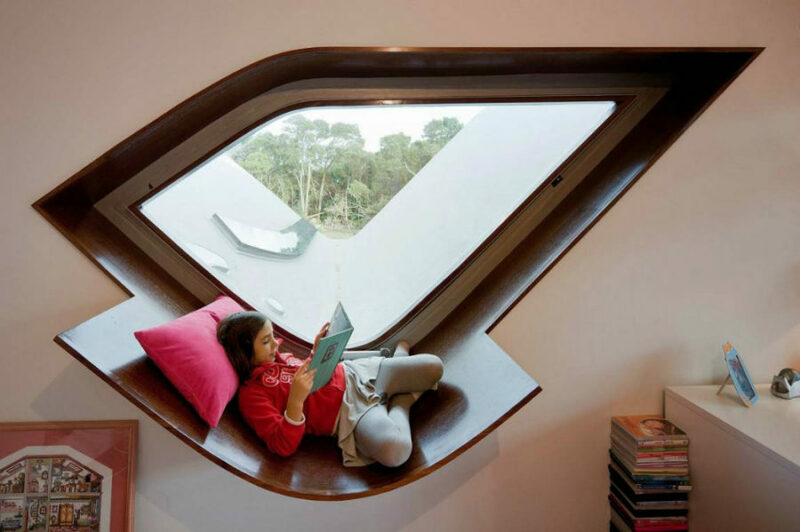 This is also a perfect opportunity to create a reading nook. 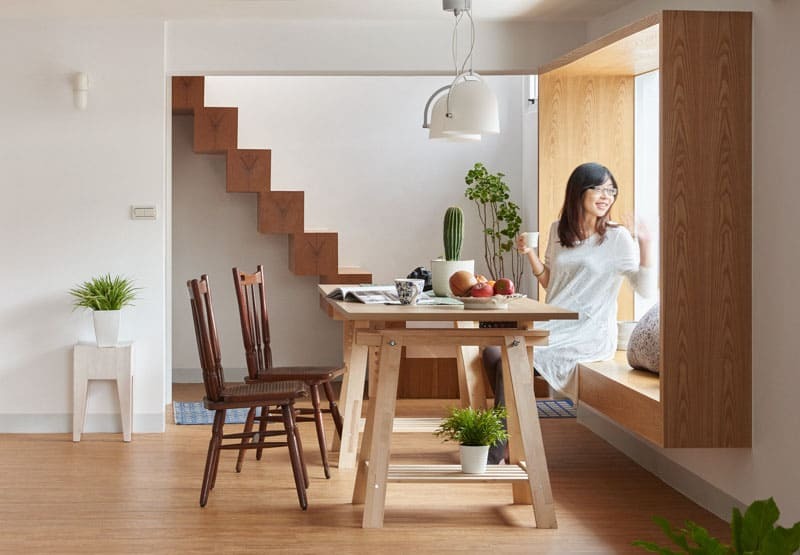 Areas between the flights of stairs are very prone to dullness, so take note of how to plan these, and make the most of your available space. 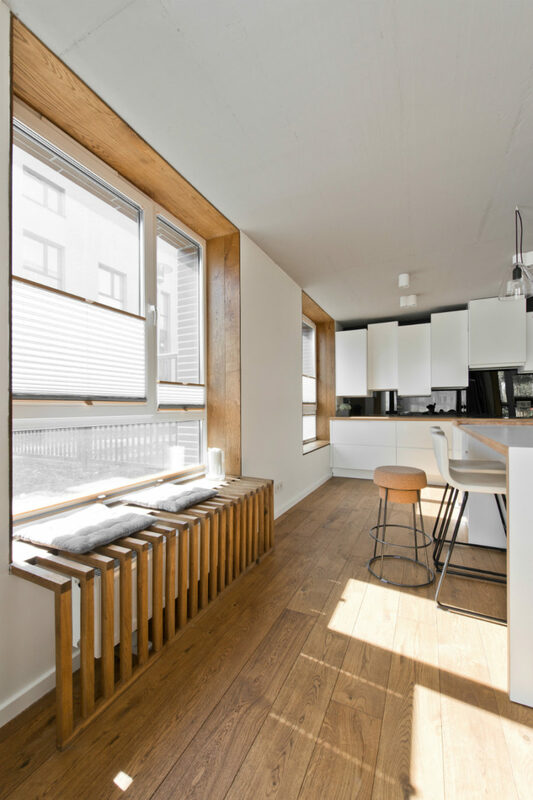 We love the example in which a double height window is barely obstructed by a floating staircase that leaves plenty of room for a window seat underneath it. A typical window seat won’t surprise anyone. 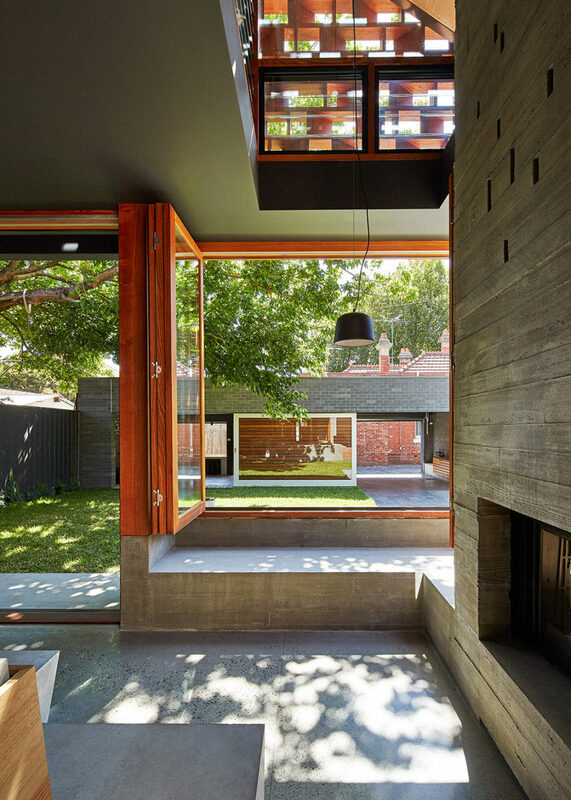 So to really break the mold, opt for protruding windows, sunken seats, or take the matter to the great outdoors. 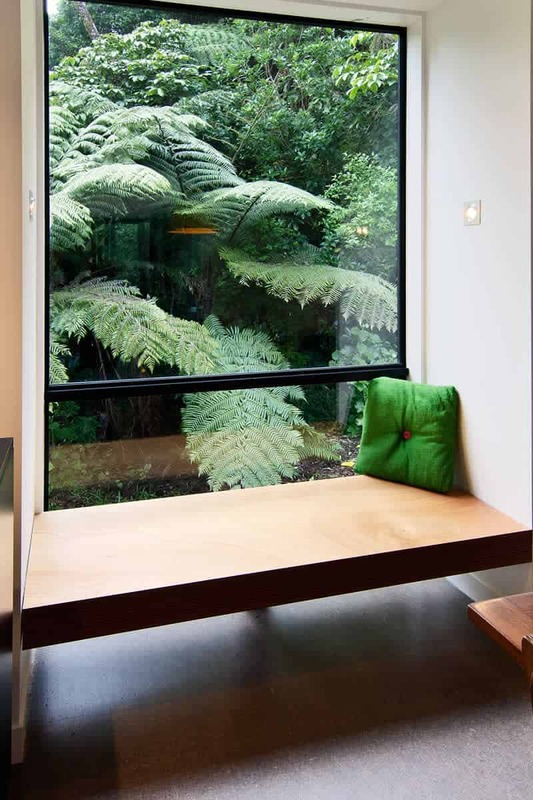 Window seat designs can be as imaginative and creative as your fantasy and budget allow. 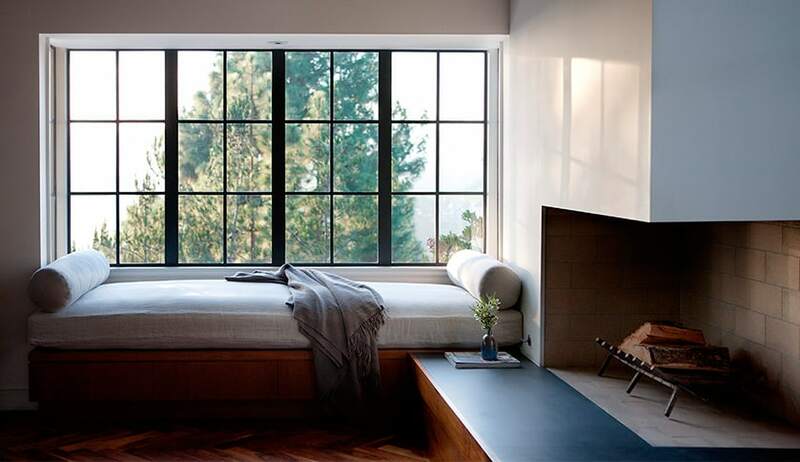 Don’t limit yourself to the padded windowsill, as you can have oh so much more.